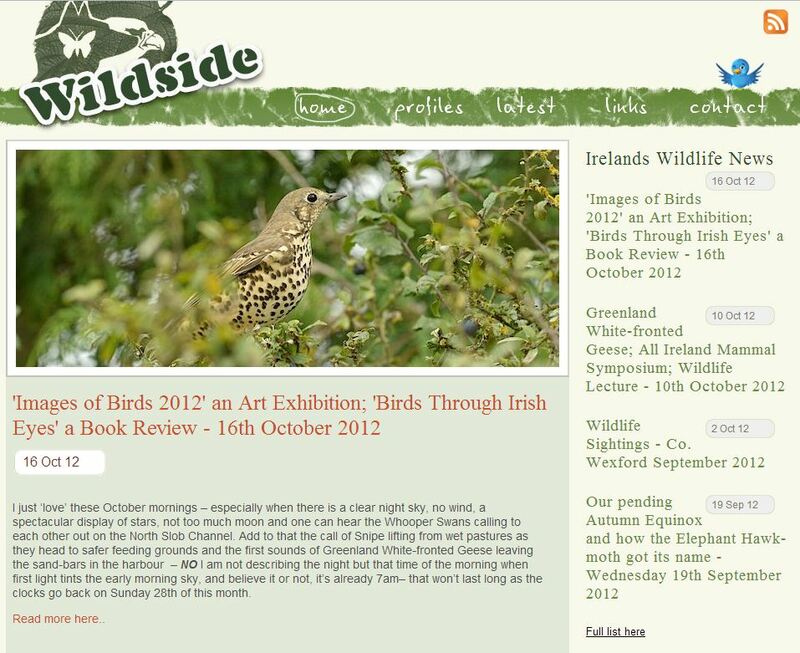 Wildlide.ie is a site dedicated to the wildlife and natural history of County Wexford. It’s run by a trio of contributors: wildlife artist Don Conroy, Environmentalist and Broadcaster Chris Wilson and radio presenter and naturalist Alan McGuire. The site gives regular news updates, wildlife sightings, happenings events and excellent wildlife photographs from the Wexford area. An indispensable resource for Wexford wildlife enthusiasts, the site is also a delight for those of us who live further afield. If you don’t do so already, it’s well worth dropping by for a regular “Wexford Wildlife” fix — or you could do what I do and add the wildside.ie feed to your favourite RSS feed reader. Wild Wide Web is a regular slot on the Ireland’s Wildlife website bringing you the best wildlife content from Ireland and around the world. If you would like to suggest a site for inclusion in Wild Wide Web please drop us a line.